In the first ever "Blog Log Pod," Skye and Steve interview Chris Georgoulias and Ron Salvatore about the NEVER EVER SEEN BEFORE sculpts for four different Ewoks. We discuss the blog post (linked below) and go deeper. Mark Hamill's Pop Culture Quest makes its journey to a galaxy far, far away with its most recent episode entitled "Collectable Legends" with comedy writer, producer, and longtime collector David Mandel (Seinfeld, Curb Your Enthusiasm, and currently HBO's Veep) making an appearance to showcase some key Star Wars pieces from his personal collection (along with some dweeb who collects B-Wing Pilot junk). David was kind enough to join me for a brief interview about his his collecting perspective and experience with the show. Steve Danley: As a collector with a wide range of interests (from comic art spanning many eras to toys and original film props), do you attempt to establish a "focus" within each area? How do you go about choosing pieces to pursue? David Mandel: There are certain themes that run thoughout my collections. For example, with Star Wars I have props, and toys and original Star Wars comic art. The same is true of the big heroes like Batman, Superman and Spiderman. They are represented in all my areas. These days when it comes to choosing a piece—especially with prices so high—it really has to hit me hard. I think to myself, “If I don’t get it, will I be sad or angry or miss it?” and if the answer is “yes” then I at least start to think about pursuing. SD: Where did you start as a Star Wars collector, and how did your approach to collecting within that franchise progress? 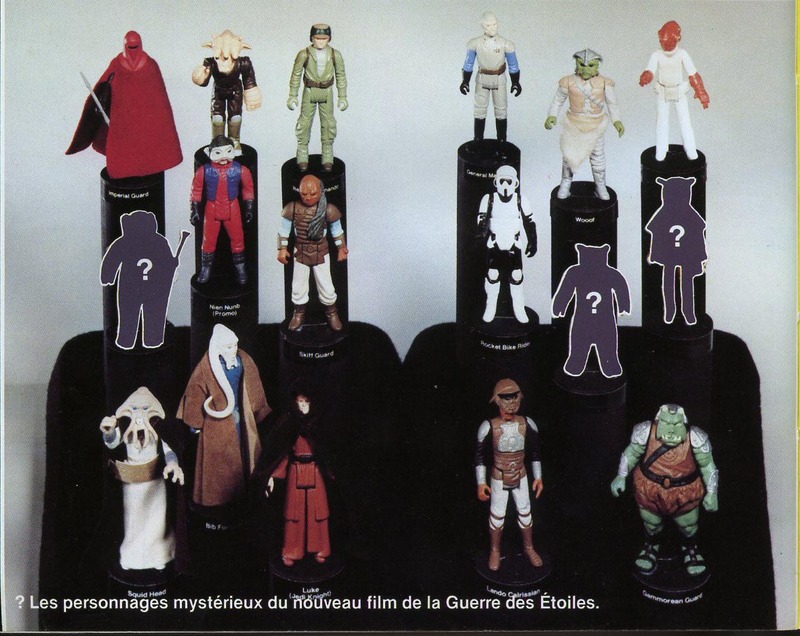 DM: I was born in 1970 and was 7 years old when the first Star Wars film came out, so I started with the toys. As a kid, I was collecting to “have them all.” I was not thinking about leaving them in packages and preserving, but those memories of searching for the figure I didn’t have stayed strong with me, and as an adult working at Seinfeld with money in my pocket, one of the first things I did was to start buying really nice versions of the figures in their package. Mandel shows his rocket-firing Boba Fett prototypes to Pop Culture Quest host Mark Hamill. SD: What led you to your appearance on Pop Culture Quest? DM: I have known Mark casually for a while now and was lucky enough to meet [executive producer] Howard Kazanjian through our mutual friend (and my co-author on the Star Wars Art: Ralph McQuarrie book) Brandon Alinger. So it sort of came together. SD: With Hamill being a longtime collector himself, had your paths ever crossed in search of any items in the past? Do you share any particular collecting interests? DM: I knew Mark was a big collector and I think we share a love of comic books in general. We have never gone toe to toe on anything. Mark is also a big comedy nerd—which I love—and he has an amazing collection of shows and sketches that he taped over the years. SD: The show's main set looks to be one of the funnest to step onto from the standpoint of a pop culture enthusiast and collector. What was it like to interact with Mark in that environment and bring the Star Wars show and tell to the "den"? DM: It was a fun set, and they did a great job putting it together, but its all really about Mark. If you don’t know him or have never seen him speak, he is so damn funny and an amazing raconteur. So I knew going in it was going to be fun. SD: How long did the shooting session(s) take? Was it difficult not to get distracted being surrounded by all of that fantastic stuff and in the company of such an entertaining conversationalist? DM: I got there a little early, while they were shooting some other stuff. I think Mark and I shot for an hour and change or so. We could have kept going and done it all day. Mandel and Hamill compare the original cover artwork for Marvel's Star Wars #1 with the finished product. SD: In terms of the pieces that you showcase in the episode, the Kenner rocket-firing Boba Fett action figure prototypes and Howard Chaykin/Tom Palmer cover art for Star Wars #1 are certainly among the most iconic in the vintage Star Wars canon and would be considered "grails" among many collectors. How would you define a collecting grail, and do both of these pieces fit that description for you personally? DM: I think "Grail" gets thrown around a little too much these days. I prefer to think of things as personal grails as opposed to Grails in general, because of that. The rocket-firing Boba is a collecting grail, although among high end Star Wars toy collectors it is more common than you might think. The Star Wars #1 cover was a real personal grail to me—I have distinct memories of reading the Star Wars #1 on the beach with my dad when I was a kid. Also, since it is the hand-drawn original, it is the only one of its kind. Nobody else has that. SD: Building relationships and sharing stories with fellow collectors is one of the most rewarding aspects of collecting. With a host as engaged, knowledgeable, and curious as Mark, were there any memorable or unexpected tangents that came up in conversation speaking collector to collector? DM: I don't know what made the final cut of the show, but when we are talking Mark mentioned that he had the Luke Skywalker boots from A New Hope. I tried to trade with him! SD: What was your favorite moment from the entire Pop Culture Quest experience? DM: My favorite moment was actually off screen. I brought my family with me—my kids are 9 and 7—and they were just stunned to meet Mark, and he was just amazing with them!! You can watch all released episodes of Pop Culture Quest streaming on Comic-Con HQ. For more on David's collecting background, be sure to check out this piece from the New York Times from October 2016.